Almost 11 months after the FIRST transplant, an infection attacked that cornea. The doctors had no answers as to why it happened; it was just something no one had any control over. And it was very disheartening that, once again, I needed to walk this difficult road of another transplant and a long recovery period. But thanks to the prayers of our wonderful partners and friends and family, this second transplant healing and recovery has been very different than the first. In less than six weeks from the operation, I am ACTUALLY beginning to see people and things up close. This is something that never happened after the first transplant. I AM NOW ABLE TO SEE DWIGHT UP CLOSE FOR THE FIRST TIME IN OVER 2 YEARS!! This morning when I woke up, my heart was overwhelmed with gratitude and thankfulness for what God has done through this two-year journey. I am not completely to the end, but I can SEE the end. I am so happy and grateful to God for His faithfulness, and to you who have stood with us through this uncertain and life-changing journey. God is answering prayer, and I am believing for complete eyesight in the very near future. As we continue to stand together in prayer, we WILL see miracles! Last night our wonderful grandson Dalton Thompson graduated high school. We are so proud of him for all he has achieved these past four years. 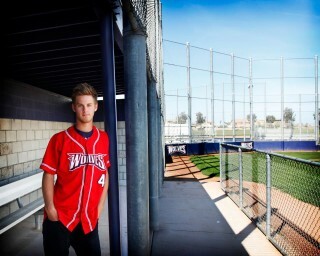 This year he was honored as the MVP of his baseball team and has received one of the highest scholarship to play ball in college as a pitcher. More important Dalton has kept his integrity and commitment to the Lord, on and off the field, for his identity remains in Christ. We have watched Dalton’s faithfulness to the Lord and now we are seeing the blessings flow for his obedience as he embarks on a new chapter in his life. The promises of our Lord still remain true! Amen.